Beautiful Allotment is a new summer pop-up bar and diner in Hoxton from Bourne & Hollingsworth, the people behind multiple bars and spaces including the Reverend JW Simpson bar, and they also organise Cocktails in The City. 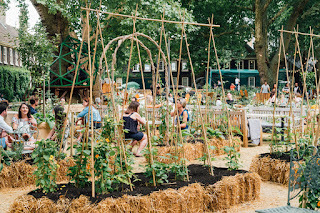 The summer pop-up is in the front garden of the Geffrye Museum, just minutes from Hoxton Station, and features bars, food from the BBQ, and bookable areas and features like day beds and even a potting shed and a tree house. It's open Wednesdays to Sundays until Sunday 26th August. 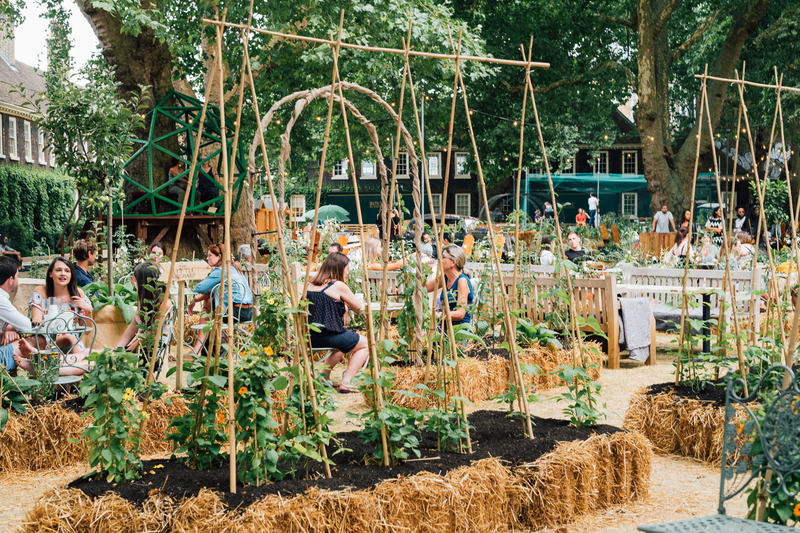 "Brought to you by the team behind Bourne & Hollingsworth Buildings, Beautiful Allotment will take the homemade and creative inspiration of an allotment to create an unprecedented drinking and dining experience this summer. Cocktails curated by the Bourne & Hollingsworth team will be fresh, seasonal and sustainable, using ingredients grown on the grounds. Roaming ‘garden-tenders’ with wheel barrow bars will bring drinks to revellers as they lounge on sofas in amongst the home-grown plants. For those looking for a bite to eat, the food will almost be entirely BBQ led and locally sourced, with delicious and ever changing wholesome platters of vegan, vegetarian, fish and meat options."